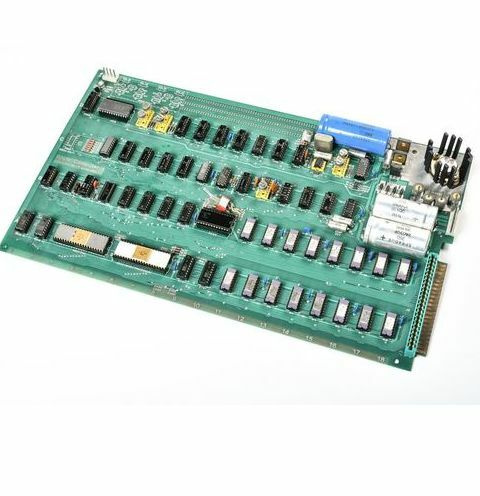 Yeah, you could pick up TekServe’s 35-piece Mac museum (now $29,000), but can you really call yourself an Apple fan if you don’t own an Apple -1? That earliest of Apple paraphernalia is about as rare as they come, but if you act fast (and drop a boatload of money), you can snap one up now. Fundraising site Charitybuzz has one of the super, special, extra-limited edition early computers up on its site for auction, currently going for $270,000. That’s a steal compared to the decidedly nutty estimated value of $1 million listed on the site, but the auction’s still got under a week left, and past models have actually gotten pretty close to the 1 million mark. Corey Cohen, who runs the site MyAppleComputer.net has a lot to say about the machine, explaining that the so-called “Celebration” version is likely among a small number of prototypes that were never sold to the public. And hey, for good measure, your hard-earned Apple bucks will also get you the ’76 Apple-1 instruction manual and a slew of cassettes, including Star Trek and Blackjack, for some truly old-school computer gaming action.